Welcome to the first of our ‘Nurture Loves..’ a series where we will be talking about all things that inspire and nurture. Monthly bite-size interviews to read in a big comfy chair with a nice cuppa! We want to cover a huge range of topics: mumpreneurs, events, people, ideas and products that inspire us and that we think you will all enjoy. 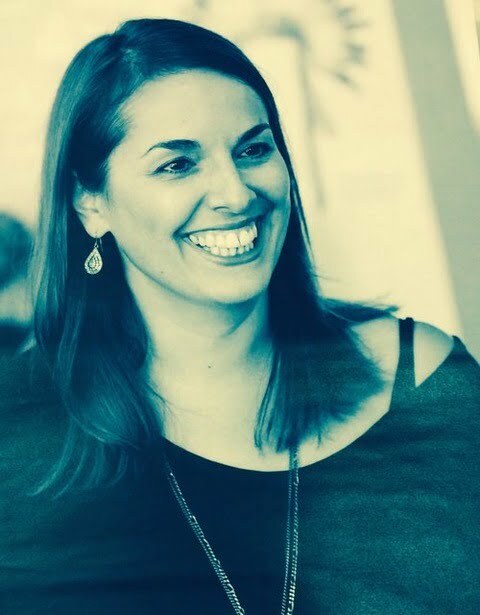 This month we talk to Mumpreneur Claire White from Mama Club who runs fantastic workshops designed to help us all embrace motherhood and feel supported! – Amen to that! Tell us about the story behind Mama Club and how it first started? Mama Club started when I was pregnant with my second son, Stanley. My eldest was about 18 months at that point and I had just surfaced after maternity leave. I remember that time being incredibly joyful – having lots of fun with a baby is wonderful. It was also really challenging as I started to think about what kind of mum I would be, and how my life was about to change so significantly again as I welcomed baby number 2 into it. Just when you get the hang of it….it all changes! The thing about motherhood is that it is FULL of challenges and change, yet there didn’t seem to be much out there that I could see to support mums like me through it. 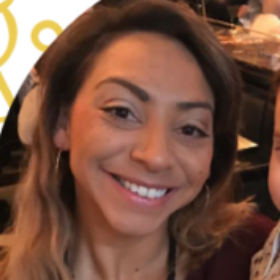 My background is in learning and development, so I decided to do what I do for a day job and design some learning – this time learning to help mums. And Mama Club was born! We started running small events locally and have grown over the last year, launching new workshops along the way. It’s been a privilege to spend time with so many fab mums and hear from them what they want and need. We love the open, friendly vibe of mama club it makes think of cups of cocoa, is this your vibe? Ha! Yes absolutely! We are all about providing support, so cocoa works – or a good G&T! It’s about recognising that motherhood is not easy, and it’s nice to surround yourself with other mamas who don’t judge, who understand that we are all just doing the best we can on any day. Some days are easier than others – the thing is we all need support along the way. Whether it’s having a night out to meet other mums or coming along to a workshop to learn about something I’m curious about. It’s about putting myself first. What do you hope mamas to gain from your workshops? Each workshop is designed to develop a specific skill or mindset. The one thing they all have in common is that spending time on yourself helps you to be the best mama you can be. Carving out time to just think, reflect, and learn about what makes you tick is incredibly powerful. Is all about recognising what we are experiencing we feel guilty, and why we feel guilt. We explore the things that make us feel that pang of guilt (different for everyone) …and then we practice a simple technique to help manage (and ditch!) that feeling in the moment! being a mum requires a full tank of energy, that’s for sure. It’s no secret that it can be exhausting! If you are struggling to keep your energy levels up throughout the day….and caffeine just isn’t doing it…this one’s for you. Our personal energy is a fantastic thing. The more we know about it the more we are in control of it – we can start to recognise when it is running low and take steps to boost it. And it’s not just the physical energy we have that matters – our emotional energy can also have a huge impact on how we feel every day. On this workshop, we explore techniques to top up your tank. Maybe you are about to return to work after maternity leave and are feeling a little less confident. Our workshop is about recognising the reasons behind the dip you might be feeling in your confidence levels and then using positive self-talk and reconnecting with your strengths we play with techniques to help you look, sound and feel confident in any situation. There are lots more – check out the website for details! 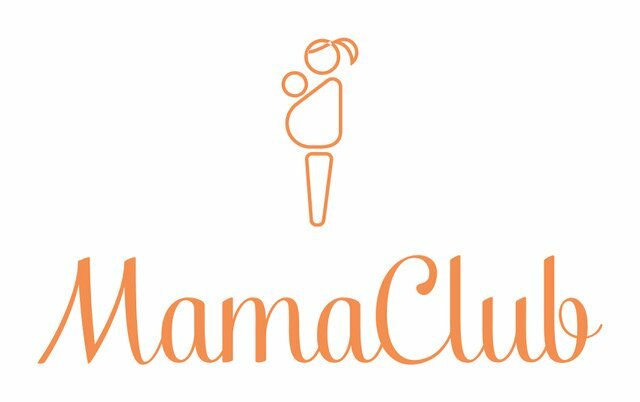 What’s your vision for Mama Club? 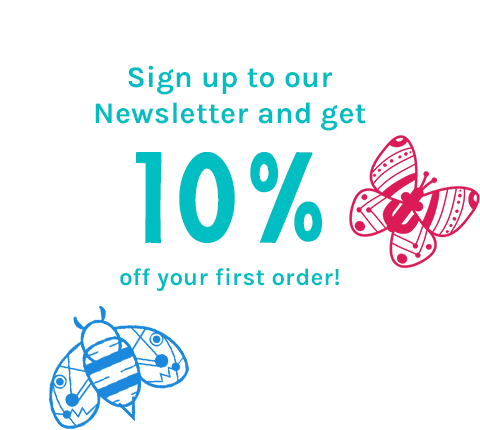 To offer every mama brilliant learning opportunity – no matter what stage of motherhood she is at. To help mamas to prioritise their own development and become part of a community that recognises that a happy mother is more likely to have a happy family. Self-care works. How do mamas get involved and when is your next event? 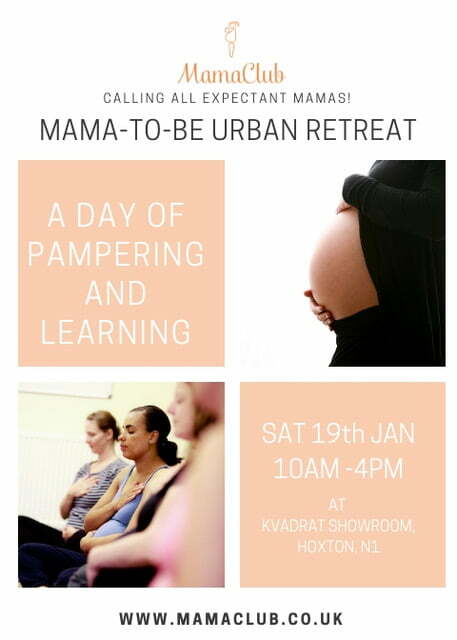 Our next event is on Saturday 19th January for pregnant ladies! 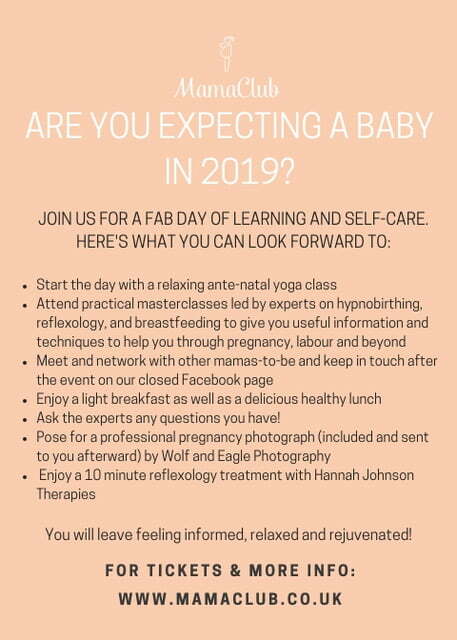 It’s our Mama-to-Be Urban Retreat, held in a fantastic venue in London N1; mamas will experience fabulous masterclasses run by experts on topics to help them prepare for motherhood. Subscribe to our mailing list and follow us on Instagram to be the first to hear about events and workshops launching! We have lots planned for this year – watch this space!